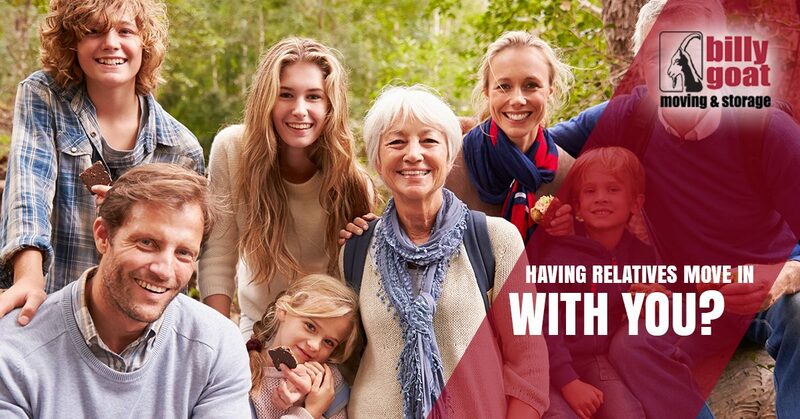 Moving Companies Fort Collins: Relatives Coming to Live With You? We all love our families, but there is something to be said about being able to go back to your house and have your own space after seeing family for a few days. However, there may come a time when a relative needs to move in with you, if only for a short period of time. At Billy Goat Moving & Storage in Fort Collins, we can help you coordinate your relative’s move, no matter if they’re going to live with you for a few months or a few years. If your mother-in-law needs to move in with you following retirement, or you have a sibling who needs a place to land for a few months, then it’s a good idea to have a plan in place for how everything will work. Your home is open to your relatives, but it’s good to make sure that they know what their personal space will be, and where they can store and keep their stuff. When it comes to moving, you might be planning to move several things yourself, but when you get to your relative’s current residence, you realize there is a lot more to move than you thought. If your relative has lots of large furniture, or they have several boxes of keepsakes that they want to bring with them, then it’s probably better to hire a professional moving company. Your mother-in-law or sibling may be moving into the guest room in the basement, but that space is currently filled with random furniture and objects that you couldn’t find room for elsewhere. You want to get the house ready for your family member, and that might mean moving some things, storing some boxes, and donating other items. At Billy Goat, we can help you find a suitable storage solution, such as a space in our Northern Colorado warehouse. The building is climate-controlled, and we have two unit sizes from which to choose. You may also need to rearrange some furniture in other rooms of the house to make the floorplan more conducive to more people. You might get the table leaf out for the dining room table, so that everyone can sit and eat comfortably during family meals. Starting earlier rather than later on getting the house ready can make you feel more at ease about your relative moving in with you. 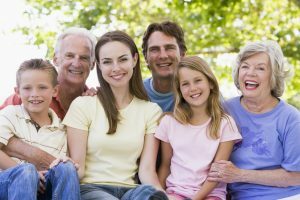 Having your relative moving in with you may be the best solution, and while the kids are excited to have grandma move into the house, it’s important to talk to the entire family about the change. The kids may not be able to run around and make as much noise as before, and chores and household responsibilities may need to be divided up a little differently. Be sure to include your family member who’s moving into the conversation, so that they know what’s to be expected. It’s important that everyone understands the change that’s coming, even if it’s only for a short period of time. At Billy Goat, we’re proud to be your moving company in Fort Collins and all across Colorado. If you need to help a family member move into your house, then give us a call today to schedule a date that works for you. No matter what your relative needs to move or what they want to bring with, we can safely pack, load, and transport everything. You can reach us at (970) 541-9121, or fill out the form below and a member of our team will contact you as soon as possible.